Fiber-rich and positively packed with more anti-oxidants than the berries we tend to find during our grocery runs, acai berries are a superfood that is worth all the hype and more. And though indigenous to Brazil, its tropical fruity goodness has found its way over state-side and conquered our hearts – and our breakfast bowls. You’ve most likely seen acai bowls trending on your Instagram or Facebook for some time now, and the fact that they only seem to be climbing in popularity is a solid indication that they’re not just a passing health-food fad. Shipped over to this end of the world in the form of a puree found in freezer-stocked packets, this delicious ingredient forms the basis of a thick but nutritious smoothie base we scoop by the spoonful out of a bowl for breakfast. Now, some skeptics may be raising an eyebrow at this, but we guarantee that you’ll fall in love with the not-too-thick, not-too-runny and utterly refreshing texture and taste of an acai bowl embellished with your choice of toppings, like fresh berries, peanut butter or oatmeal. And if you’re looking to make them at home? Apart from the acai puree packs, you’re going to need a good blender, to get the consistency of your breakfast bowl just right. A great blender will be able to get rid of the lumps of frozen acai puree and blitz together your choice of fruits and liquid (water, milk, almond milk etc.) until the mixture is smooth, but you don’t want it too dense or too runny. And luckily for you, we’ve made your job easier by rounding up our top candidates for the job. This is the top pick when it comes to whipping together acai bowls – the holy grail of blenders, shall we say, recommended by professionals and juice- and smoothie-bar runners themselves as the best machine to go to for the best-blended breakfast bowls. 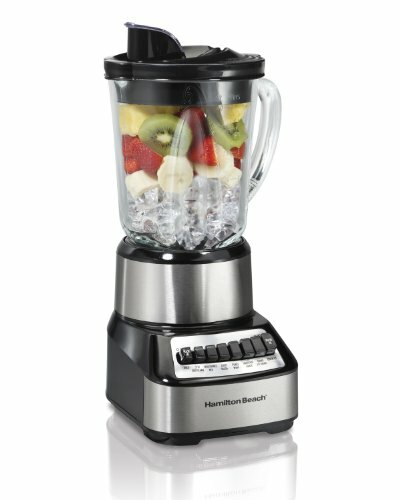 A 3-HP motor makes for swift, powerful and efficient blending action, while hardened stainless steel wet blades thoroughly slice through delicate fruits and blend down frozen liquids and purees to give you that perfect, lump-free blend. The tamper included with the unit is another huge highlight of the blender – slotting it through the opening in the lid lets you push your ingredients toward the blade and get rid of air pockets to make for the most thorough blend, designed to hook to the lid just before it touches on the blades themselves. This means you can stir dense or frozen smoothie mixtures around without having to pause blending, which is a great time-saving pro whether you’re whipping together a breakfast bowl at home, or at a juice bar for customers. Best of all, this high-powered blender works just as well for soups, sauces, purees, juices and more. The clear container has a whopping 64-ounce capacity – making this the ideal choice for a commercial kitchen or high-traffic juice bar – and is built to be durable, resilient and is BPA-free. Easy to rinse down and clean, the powerful motor and advanced cooling system work together to make for sweat-free and steady performance even at high-volume use, while manual speed controls allow you to dictate your blend’s consistency as well as how long it takes to make. With 1100 watts of power and the brand’s patented Total Crushing Technology, this unit can plow straight through everything from ice and frozen acai puree to the seeds, skins and stems of whatever fruits or greens you’ve chosen to add to your breakfast bowl. A 72 ounce capacity pitcher is plenty to work with for breakfast bowls for the whole family, while two separate 16 ounce to-go cups are also included with this unit for whipping together single servings. 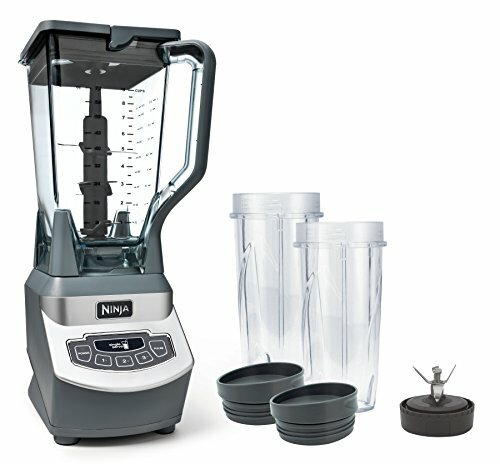 The blender is programmed with three available blending speeds, a pulse option as well as a single-serve option for the to-go cups. The six-bladed blender is easy to clean up, the powerful suctioning vortex the blender creates when switched on not only thoroughly blending everything without needing a tamper or spatula to stir ingredients about, but also preventing bits of unblended ingredients from getting stuck around the blades, making clean-up that much easier. An extra large base and 4-inch long blade makes for thorough blending, creating a powerful suctioning effect pulling ingredients toward the blade without the need to pause and stir everything about, as well as making sure no ingredients wind up stuck in hard to clean crevices. Capable of reducing ice cubes to powdered snow, this attractive unit comes with a 36 ounce pitcher and 6 blending presets for everything from juices and smoothies to ice cream, soups, purees, etc. to control exactly how much, how fast and how long your ingredients need to be blended. A 3-HP motor gives you a perfectly smooth yet thick breakfast bowl in mere minutes with its precision performance, without over-blending the mixture until it’s too runny. 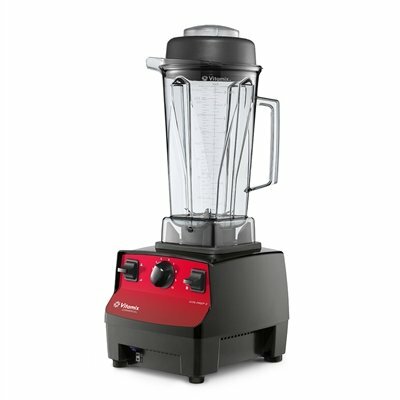 A stout and sturdy little blender packing a wallop with a 40 ounce capacity and thermal shock resistant glass jar, this blender comes with a mind-blowing 14 blending presets perfect not only for blitzing together your morning bowls of acai berry goodness but also for reducing ice cubes to slush, whipping together some salsa or veggie puree, dicing up greens and more. 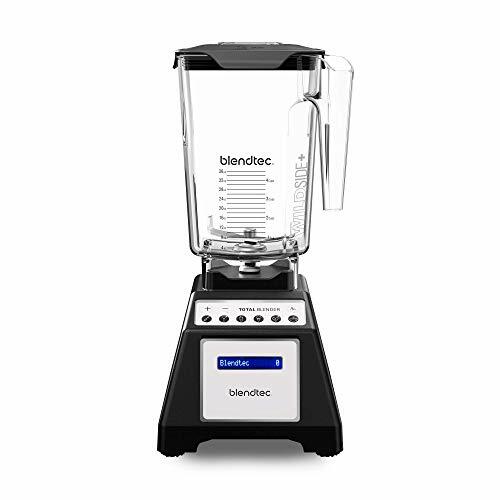 The trademark Wave-Action system of the blender creates a vortex-like effect with the spinning of the blades, naturally directing ingredients toward them and making for very precise and thorough blending with no lumps or clumps left behind. Running at 700 watts of power, this resilient and durable blender also comes with a pour spout integrated on to the lid, allowing you to pour your blends out without spillage or the risk of making a mess. The jar, lid and blades are all dishwasher safe as well.